Pharmacy Tech Continuing Education programs are based on the age-old principle that there is never an end to learning. Even after attaining the highest professional and academic credentials, the sphere of knowledge is ever growing. This means that what was relevant yesterday, can very well be irrelevant today while what was the best solution for something yesterday can be overtaken by a new discovery today. Few professions are as critically dependent on this continuing education as healthcare and specifically the pharmaceutical industry. This is why even after attaining a certification as a pharmacy technician, your ability to retain the certification will be contingent on your keeping abreast of the latest information in pharmacy. Background - As the name implies, FreeCE is a continuing education program for healthcare professionals that has been providing mainly free CE programs since 1996. A subsidiary of Pharmcon, the CE programs are administered through webcasts, webinars and research publications. The fact that Pharmcon has worked with most of the major players in the pharmaceutical industry helps lend credibility to FreeCE as a CE organization. Even though FreeCE has been running CE programs since 1996, Pharmcon has been in the industry longer having made its initial forays in 1992. Pharmcon is approved by the Accreditation Council for Pharmacy Education (ACPE). CE modules - The content of the CE modules from FreeCE for pharmacy technicians are vary broadly and range from fibromyalgia, post-herpetic, bipolar disorder, diabetes, insomnia, schizophrenia, hypogonadism among many others. Cost of CE Programs - Most are free but there are a few that cost from $10 to $29. Many of the webinars and webcasts are free for members but cost for non-members. Background - Power-Pak C.E. is a set of CE programs run by Postgraduate Healthcare Education (PHE) and covering a broad spectrum of professionals in the healthcare industry. CE modules - The content covered by Power-Pak in regards to CE for pharmacy technicians include diabetes, regulatory changes related to emergency contraception, common cold and influenza treatment, patient counseling and electronic prescribing. One has to pass the end of course assessment by at least 70% to receive the CE credits. Cost of CE Programs - Registration in Power-Pak is free and that is all that is required in order to access the CE courses. Background - You would have to try really hard to find someone in the pharmacy technician profession in the US that is not familiar with the initials NPTA. And for good reason. This is because the National Pharmacy Technician Association (NPTA) is the world's largest association of pharmacy technicians and is a not-for-profit organization. CE modules - The NPTA CE courses include are ACPE-accredited and are also accepted by the Pharmacy Technician Certification Board (PTCB) as a credible means of obtaining CE credits. Modules cover the whole spectrum of the pharmacy technician work sphere and range between 1 and 2 hours. Cost of CE Programs - Online CE programs are free for members but cost $7-$10 for non-members. Background - Founded in 1931, Baxter is a profit making enterprise whose business model is based on three significant aspects of the healthcare industry: renal, bioscience and medication delivery. CE modules - Baxter's continuing education programs are managed by the training services provider Healthstream LLC. The CE modules are in the areas of hemophilia, pain management, nutrition, renal treatment, immune therapy, albumin therapy and medication delivery. Cost of CE Programs - Baxter's CE programs are free. 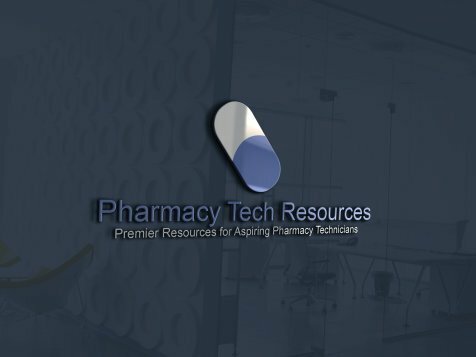 Background - Tech Lectures has been providing continuing education material for pharmacy technicians since 1996. CE modules - Tech Lectures provides a 20 -21 hour CE pack that is mailed to you. You choose your CE study pack from a list of 27 available courses. The programs are approved by the major pharmacy technician certification organizations. Cost of CE Programs - Each 20 hour CE packet costs $42 plus $8 for shipping and handling. Background - Drug Topics is a monthly news magazine covering everything that affects pharmacists and pharmacy technicians including emerging trends, significant issues, regulatory and legal concerns, new products and the impact of technology on the pharmacist. CE modules - CE lessons from Drug Topics are along similar lines to the content covered by the magazine and include discussions on new drugs, advances in HIV/AIDS treatment and ethical concerns for the pharmacist. Cost of CE Programs - Each individual CE lesson costs $6. Alternatively, one pays $54 for 12 lessons. Background - The US Pharmacist is a monthly journal owned by Jobson Publishing and that provides a forum among pharmacists to discuss and share emerging trends affecting the industry. CE modules - CE programs offered by US Pharmacist cover several areas including the impact of what we eat on cardiovascular disease, menopause, ovarian cancer and the abuse of prescription drugs. Cost of CE Programs - Each module that provides 2 CEs costs $6.50. Background - Managed by Intellisphere LLC and with a target audience of over 160,000, Pharmacy Times is one of the largest and most significant magazines in the US pharmaceutical industry. CE modules -CE programs are available to members and cover a number of areas including ethics, drug information, medicine safety and any other subjects that have an impact on the pharmaceutical industry. Cost of CE Programs - Free. 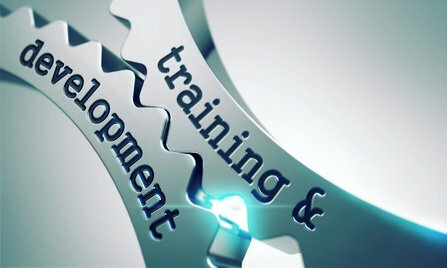 With so many alternatives one can choose from as far as continuing education for a pharmacy technician is concerned, it is important that you identify the organization and program that will enable you to not only gain the CE credits to enable you maintain your certified pharmacy technician status, but also equip you with practical skills to enable you keep abreast with the most current information in your field. At the end of it all, relevant knowledge must be the end goal of an effective CE program. There have been some changes regarding the rules for pharmacy technicians and continuing education requirements. These rules affect the providers (the people who create the continuing education module.) The ACPE requires its accredited providers indicate the CE be designated for pharmacy technicians, for pharmacists, or for both techs and pharmacists. All CE courses, accredited by the ACPE have a ACPE course number. Course numbers that end with a "T" are for techs, the ones that end with a "P" are for pharmacists, and the ones that end in both a "P" and a "T" are for both pharmacists and techs. So techs should look for course numbers that end in either a "T" or a "P" and a "T".